Our goal is to help you find the home or property that fits your dreams and your budget. Our first priority is to understand what you are looking for, and what is important to you in terms of features, style of living, etc. 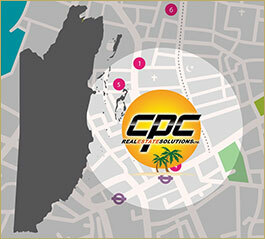 We will then take a targeted approach to your home search. Further, we operate with a “full disclosure” attitude. We want you to make an informed decision, and, to the best of our ability and knowledge, will try to answer your questions, or get you in contact with someone who can. We want you to make an informed decision, and one that fits your needs. We can represent you on any listing in Corozal, not just ours. If you choose to use us as your Realtor of choice, we will find you the best property for your needs, regardless of who the listing agent is. We understand it is about the best property for you, not the best property we have. But, you'll find we have some very good and fairly priced properties! We will never push specific listings on you. Ever. Scheduling a trip and having some "pre-work" done with a potential buyer (you) allows us to focus on properties that fit your requirements, without wasting your time by "shot gunning" you with 30 different properties. It isn't generally effective or productive. We will help you through the entire process of moving. Ask the people we've helped and you'll find we are different. We are truly a "full service" real estate operation. We've gone the "extra mile" on more than one occasion. It's what we do. We know a good reputation in our business goes a long way. We believe in our listings. We aren’t into signs in yards, just to have signs in yards. We want to help you sell your property, and feel you deserve an honest and fair evaluation of your property as it relates to condition, price, and marketability. We aren’t into listing homes. We are into selling them. We do turn down listings, for a variety of reasons. We do what we do at fair commission structures. Ask around. There a reason we have so many exclusive listings. We respond to all inquiries within reasonable timeframes. We will keep you posted of ongoing feedback on showings of your property. We don't show every listing to every client. We try to respect your time as well, and try as much as we can to pre-qualify potential buyers and make sure they are looking at homes in their target price range. Many properties in Belize are basically "open listings", you'll see the property on several different Real Estate sites, at several different prices possibly. In effect, it is first realtor to the finish line with a buyer gets the entire commission. It's an old adage that "when everyone represents you, then no one does". We believe that is in effect true. While we use other sites to market our listings, they are exclusively represented by Corozal Belize Properties on those sites. We will of course split commissions with Realtors who bring a buyer for your property. You’ll find our sales fees fair and competitive. We network with other realtors in the area. Your home will be listed in a variety of venues. Our signs are professional and stand out.